Jennings, Chris. "bill bissett". The Canadian Encyclopedia, 19 January 2017, Historica Canada. https://www.thecanadianencyclopedia.ca/en/article/bill-bissett. Accessed 19 April 2019.
bill bissett, poet, artist, performer, publisher (b at Halifax, NS 23 Nov 1939). The son of a judge, bill bissett ran away from home several times as a child, once to join a circus, looking to escape conventional middle-class life. bill bissett, poet, artist, performer, publisher (b at Halifax, NS 23 Nov 1939). The son of a judge, bill bissett ran away from home several times as a child, once to join a circus, looking to escape conventional middle-class life. In 1958-59 he moved to Vancouver, where he spent 2 years at the University of British Columbia before dropping out to pursue writing and painting. Although his poetics harmonized with the experimental creativity of the TISH movement, he was unable to find a publisher for his concrete and visual poetry. As a result, he founded blewointment magazine in 1962 to promote his own poetry and that of similar writers, such as bpNichol and Steve McCaffery. bill bissett is known for his distinct spelling, for combining lyric, visual, and sound poetry with drawing and collage, and for a deceptively naïve voice that masks the personal and political perceptiveness of his work. From the beginning, in collections such as lebanon voices (1967), sunday work (?) (1969), and awake in th red desert! (1969), bill bissett's work broke down artificial barriers within and between arts. Fundamentally, his idiosyncratic phonetic and quasi-phonetic spelling represents the sound of the word as spoken: "devotions" becomes "devosyuns" and "people" "peopul." Along with white space and a lack of punctuation, this gives bissett's poems many characteristics of a musical score. awake in the red desert! even included recordings of bissett reading, and in the 1980s he released several recordings such as sonik horses (1984) and luddites (1987). Repetition, typography, collage and the physical composition of a blewointment book also create visual and tactile patterns. For example, the poem "Liberating Skies" runs repetitions of the word "earth" together (earthearthearthearthearth) so that the word breaks down into three words that develop into a theme: earth, hear, heart. The poems in the oversized book IBM (1971), on the other hand, are all hand-written, and several suggest symbolic associations for letters as pictograms: X, for example, may be a "prayer wheel." A similar aesthetic appears in bissett's paintings, where faces merge with celestial images and bodies transform; the images aim somewhere between representation and symbol. The strength of bill bissett's early work led Anansi to publish the selection NOBODY OWNS TH ERTH in 1971, the first of his books published outside of British Columbia. 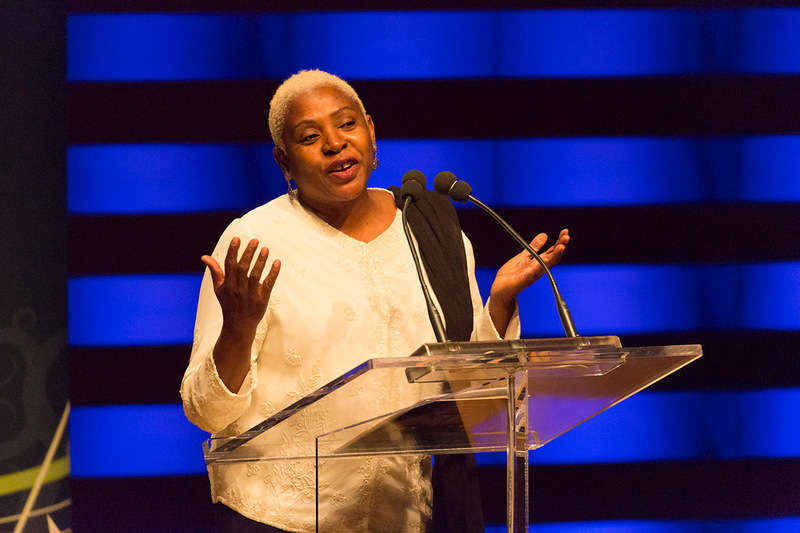 With an expanding audience, bissett published more than 25 books in the 1970s, notably MEDICINE my mouths on fire (1974), and the collection of poetry and collage stardust (1975), which played off of the impersonal and symbolic qualities of iconic images. As his career has progressed, bill bissett's compositions have consolidated some of their former variety, concentrating on text and line drawings. Frank in both language and illustrations, bissett's poems link expressions of love to philosophical explorations of love's value, and anti-materialism to the pursuit of peace. He criticizes any attempt to control or regulate thought and experience, and has faced some opposition as a result. In 1977-78 a group of parliamentarians attempted to cut his government funding, objecting to the counter-cultural aesthetic of his work. The resulting financial difficulties forced him to sell blewointment press in 1983.
bill bissett remains both prolific and influential. In recent years he has published his most thoughtful work about his writing philosophy in what we have (1988) and inkorrekt thots (1993). In 2006 Nightwood Editions released radiant danse uv being, in which poets and small-press publishers paid homage to him. Nightwood has also revived the blewointment imprint to carry on bissett's goal of publishing innovative Canadian poetry. 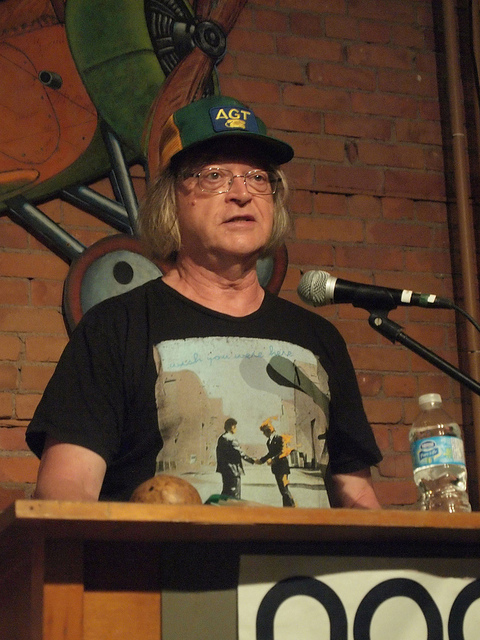 In 2007 bill bissett was awarded the George Woodcock Lifetime Achievement Award for outstanding contributions to literature in British Columbia.